Your engine is the heart of your vehicle and you can’t trust your heart with just anyone. At C.A.R.S. Auto Repair Service we are your vehicle’s heart doctor and you can trust us. If you stay on top of your engine maintenance and perform repairs immediately, your car or truck will last longer. Whether you need a head gasket replacement, a tune up, oil leak repair, an electrical issue we have the expertise. If your vehicle is suffering from major performance issues, we can diagnose and handle the major repairs and sometimes a transplant is in order. While this might sound frighting, do not worry. C.A.R.S. ASE certified mechanics can install a New, Remanufactured or Used Engine. Our remanufactured engine’s often exceed OEM specifications . Gas and diesel engines are completely remanufactured with all new wear parts to very tight tolerances, and most are run tested for reliability. Most engines have immediate availability. C.A.R.S. also provides used engines with various warranty options. Contact Scott at C.A.R.S. for details. C.A.R.S. 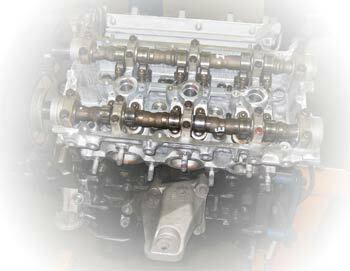 is a certified Jasper remanufactured engine dealer. Jasper rebuilt engines are warranted for three (3) years and 100,000 miles. C.A.R.S. Can also provide O.E.M Remanufactured Engines and Transmissions. C.A.R.S. Auto Repair Service provides a complete range of engine diagnostic, repair and remanufacturing services.